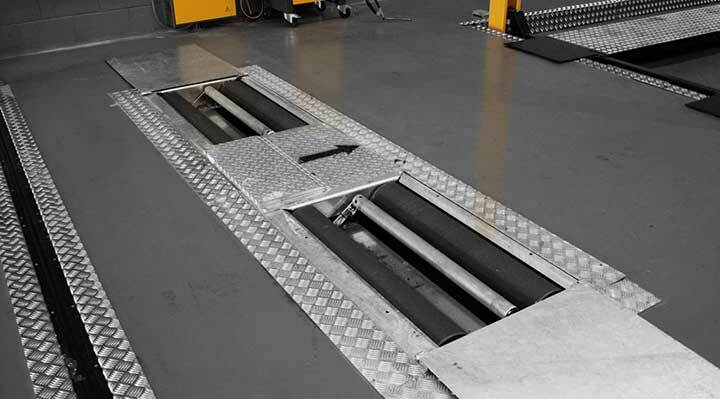 The commercial vehicle play detectors are hydraulically operated and suitable for up to 20,000 kg axle loads. 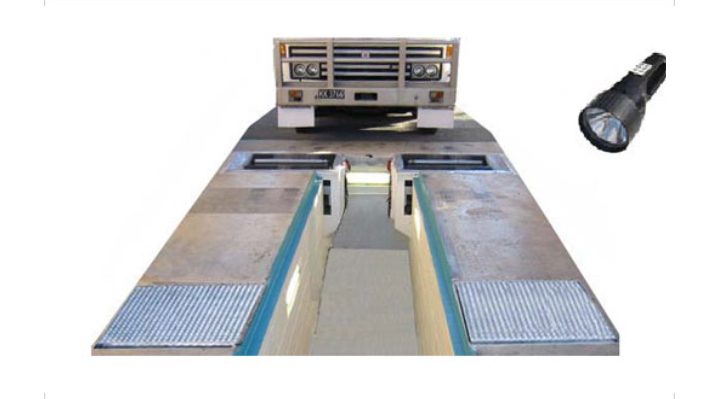 It consists of two strong steel plates, one for each wheel, which are recessed into the ground. The plates are moved horizontally in 8 different directions by means of a remote control. The remote control itself features both an integrated flash light functionality and a keypad to control each movement of the plates. The operator can choose to control each movement manually or automatically, all automatic movements are stopped by pressing any key on the remote control unit. The power unit is usually installed in a purpose made cavity in the wall of an inspection pit.